This page is intended to be a place for me to put links to the resources I am paying attention to and using as I help volunteers at Stanford do humanitarian mapping in response to the Nepal Earthquake. If you find it useful, that's great. It's not authoritative, comprehensive or static. Email me at stacemaples@stanford.edu if you need to. I'll be updating this page as I schedule new workshops to introduce volunteers to the basics of using the Humanitarian OpenStreetMap Task Manager and Tomnod to contribute to relief mapping for Nepal. Anyone with a laptop and spare time is welcome to come to the Library and any of the Introductory Relief Mapping sessions I will be holding. You do not need to be a Stanford Affiliate! If you are not a Stanford affiliate, we can connect you to the Stanford Guest WiFi to work on relief mapping, or participate in the workshops. 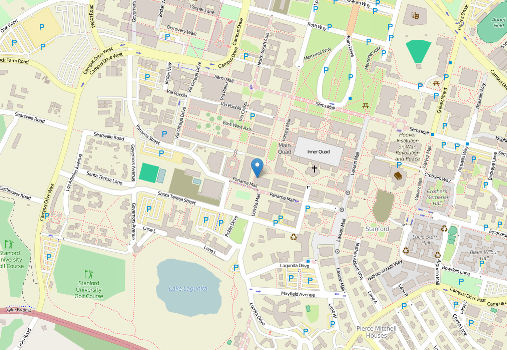 The Stanford Geospatial Center Teaching Corner has been reserved for the week of April 26th - May 1st for those who are interested in contributing to mapping efforts for disaster relief, in Nepal. The Stanford Geospatial Center Teaching Corner is located in the Northwest Corner of the Mitchell Earth Science Building, on the 2nd floor, in the Branner Earth Sciences Library. If You need assistance getting started, and can't make one of the Workshops, please come by my office and I will get you pointed in the right direction. Please note that food is not allowed in the library facilities, but drinks in spill-proof containers are acceptable. I'll be updating this page as I schedule new workshops to introduce volunteers to the basics of using the Humanitarian OpenStreetMap Task Manager and the Tomnod to contribute to relief mapping for Nepal. It doesn't matter how long you work, or how many features you digitize. There are currently hundreds of people mapping on HOTOSM for the Nepal Earthquake.Every edit counts. Humanity Road Situation Reports: http://humanityroad.org/apr25nepalquake/?utm_content=buffer83b77&utm_medium=social&utm_source=twitter.com&utm_campaign=buffer Aggregator for current needs and on-the-ground situation reports.